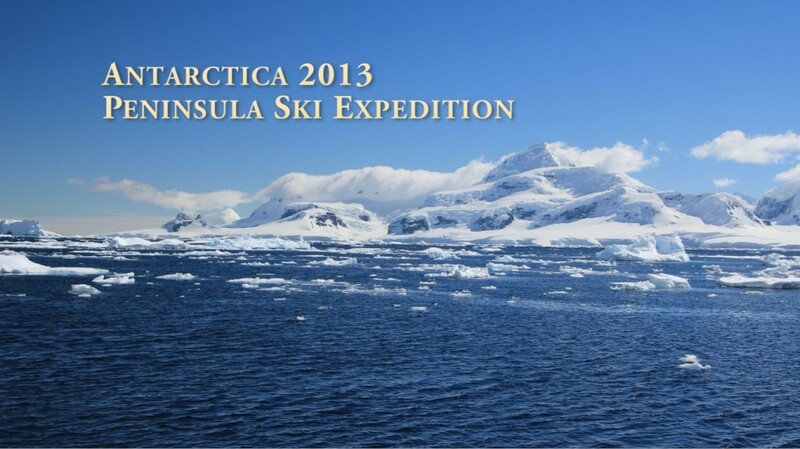 This entry was posted in Antarctica on July 21, 2014 by PrometheusX. I kept a journal of my Antarctica travels. I am writing a few posts of selected entries from it. I want to keep the feeling/emotion from the time, but I will also make some edits to help detail/clarify. Today was all skis with skins and crampons uphill and then downhill with skis — quickly undoing hours of labor. I’ve never understood what people really mean when they say words cannot describe _(blank)_. I find myself saying “unreal, incredible, fantastic, amazing” quite often. I’m afraid being unable to spew out better words is indicative of both my deplorable vocabulary and the magnitude of the personal impact of .. everything. It is truly mentally stunning, I am often literally at a loss for words. It’s every aspect of the experience: the mountains, the never-ending ice, the penguins, the whales, the clouds rolling in and out, the never darkness. I try to write so I won’t forget because so much is constantly happening. The hard work to get to the tops of unvisited mountains, the joy of coming back down. Everything is mega, learning a lot, quickly, and having a great time doing it. It’s sensory overload to be honest, the horizon a bit white, a gradient until it is deep blue overhead. Wispy clouds dance around the horizon, the lack of ozone, and the abundance of white make the sun an incredibly powerful force. As the sky has shades so too does the water, lighter at the horizon, rich and full at the nearby channels. It’s a beautiful symmetry of white and blue.